With over 32 matches played I was lucky enough to witness 4 of them live. One was even France competing on home soil in front of a sold-out crowd in Saint Malo. Les Bleuettes did not disappoint, putting on a clinic against Holland and winning 4-0. A friend of mine and professional male player in Ligue 1 was even impressed and happy he chose to come support the French team. While France’s success against Holland did not carry on, they inevitably took 4th in the tournament, France the country was still the belle of the ball. FIFA and the French volunteers did an amazing job putting on the tournament and building momentum for the women’s tournament next year. They used many of the same marketing material for the U20 as will be used for the FIFA Women’s World Cup 2019. 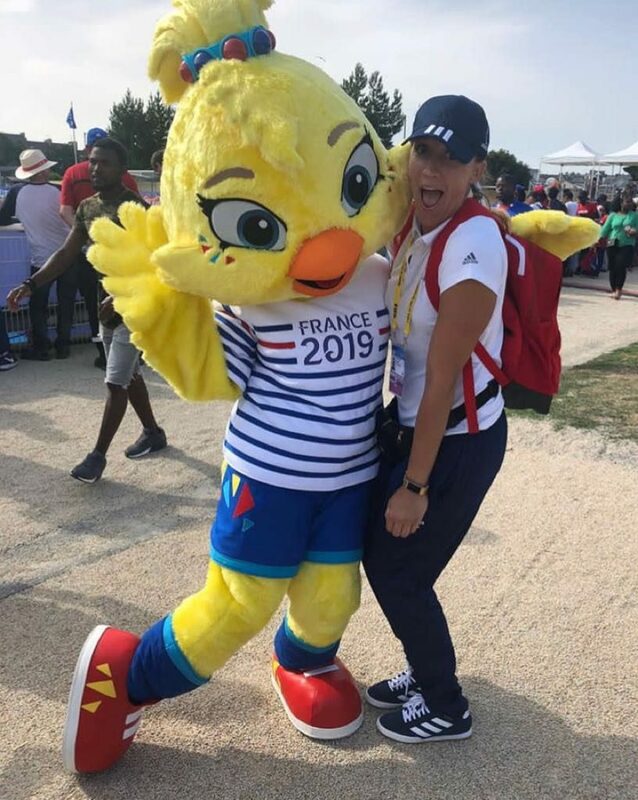 Even Ettie, the mascot for the 2019 tournament was present at all matches and a crowd favorite. It was exciting to see not only the participating cities get involved but also national sponsors. Anytime someone tried to book a ticket on the national train line, SNCF, there was an add for the U20 World Cup which was amazing. Unfortunately, I was only able to make matches in Saint Malo. But with that said the team that stood out to me and the fans that were the most incredible thing I have ever seen were that of Haiti. They came, they saw, and they stole the hearts of all the people of Saint Malo. While the girls on the field weren’t as successful as they might have hoped they would have been, they had by far the best fans. They sang, they danced, they played instruments and they did it for over 90 minutes. It was really something special. Haiti wasn’t the only foreign team to win the hearts of the French. Another team wearing the blue jersey not only won over new fans they won the entire tournament. It is no surprise that Japan, the Young Nadishiko, won the whole thing, they conceded the least amount of goals, 3, and scored the most, 15. They also followed the example set by their men’s team in the FIFA World Cup 2018 and won the FIFA Fair Play award by respecting opponents on the field. 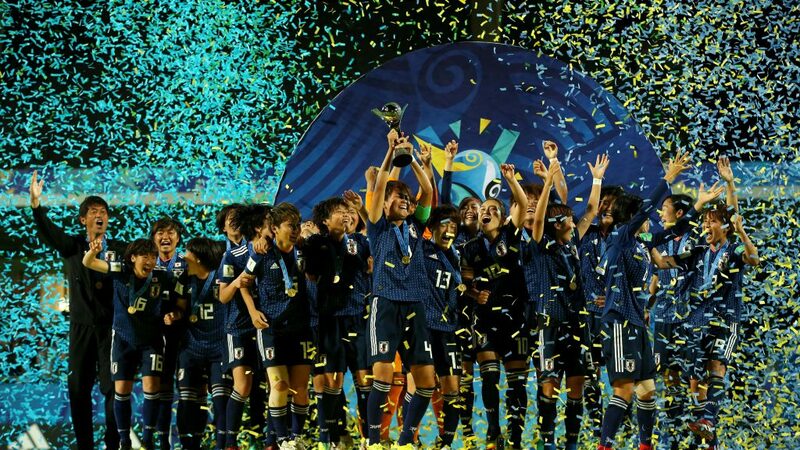 For many of the players raising the trophy, it will not be their last time playing in France, playing such exciting offense and solid defense I believe many of the women will be on the roster for the FIFA Women’s World Cup 2019. Overall I give the tournament two thumbs up and I’m definitely ready and waiting impatiently for next year’s tournament. Arianna Criscione is a Candidate of The FBA’s Professional Master in Football Business, expected to graduate in February 2019. She can be contacted via LinkedIn.